Liver surgery: in collaboration with surgeons (including Dr. Tellado from Hospital Gregorio Marañón) and other institutions (Universidad Politécnica de Madrid, María Ledesma-Carbayo), we have developed specific multimodal registration algorithms for liver planning. An ultrasound system (Esaote MyLab 70VMG) that includes CT-US navigation is available for these procedures, together with specific surgical planning software (Fuji Synapse 3D). Breast cancer surgery: surgical guidance in these procedures could decrease the number of cases where positive margins for the tumour site are found. US-guided navigation is a promising tool. We have been working together with surgeons from Hospital Gregorio Marañón and the Laboratory of Percutaneous Surgery from Queen's University in Canada (http://perk.cs.queensu.ca/) in order to facilitate this procedures using 3DSlicer, Ultrasound and Electromagnetic Tracking. 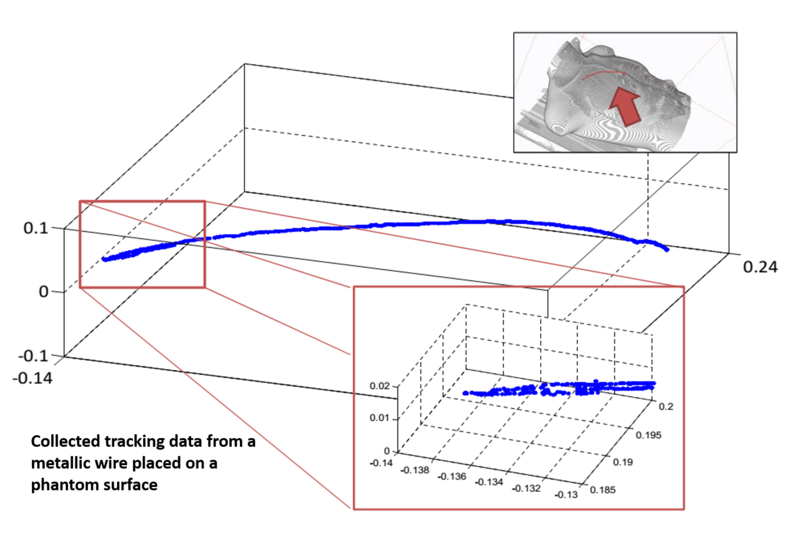 Surface scanning: non-invasive procedures can be used during surgery to obtain the surface information from patient's skin or even the surgical cavity. 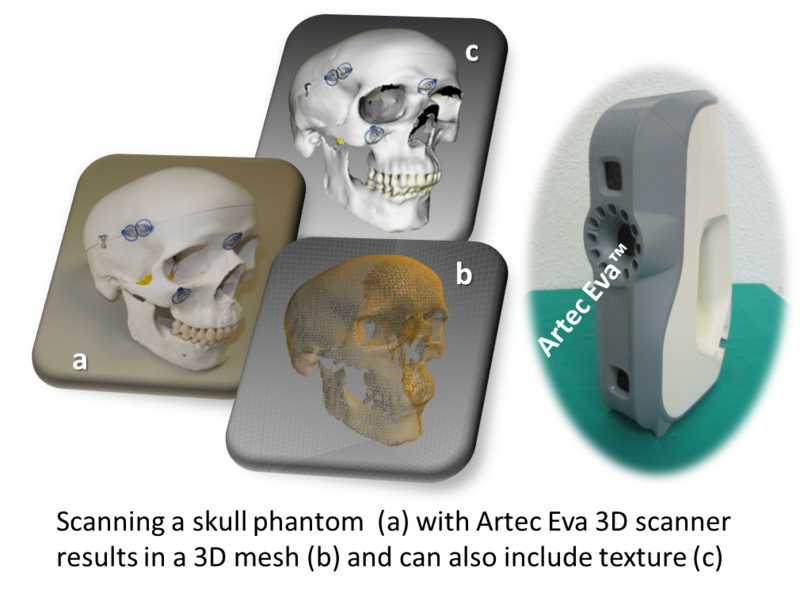 We are working with devices such as the Artec Eva Scanner (Artec 3D) or the ConoProbe (Optical Metrology Ltd) in order to acquire this information during different surgical procedures. 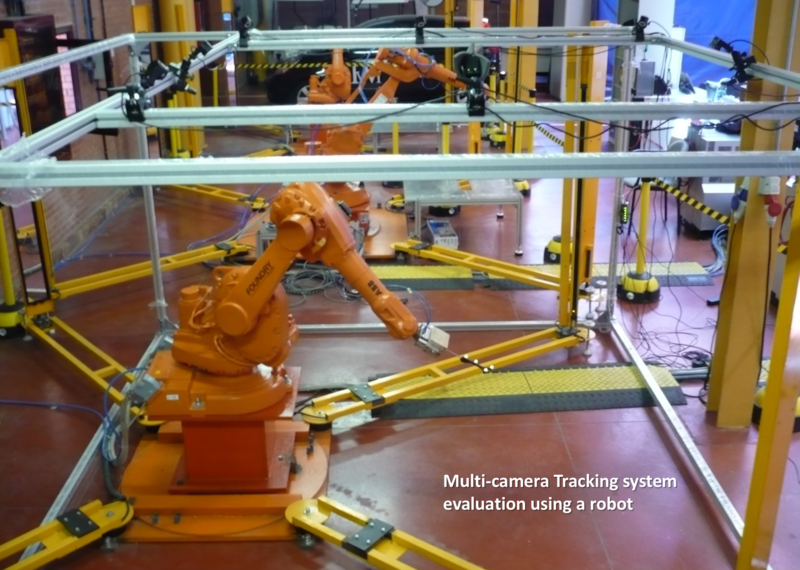 Tracking system evaluation: multi-camera optical tracking systems have several advantages in surgical guidance environments, since they are robust to occlusions and allow large working volumes. However, they also require a calibration step in order to obtain the position of every camera. We have studied the accuracy and stability of these tracking systems. We have also developed software tools that optimize the tracking tools design and facilitate quality assurance (detecting miscalibrations automatically). Line based registration: patient-to-image registration is a crucial step in imageguided surgery. We have proposed a new algorithm that provides accurate and robust world-to-image registration taking advantage of the linear shape of the fiducials. Marinetto E., Perez-Juste Abascal J.F., Mateos Pérez J.M., Desco M., Pascau J. Initial Evaluation Of A New Line-Based Approach For Image-To-World Registration In Image-Guided Interventions. Computer Assisted Radiology and Surgery (CARS 2015). Barcelona, Spain. E. Marinetto, A. Uneri, T. de Silva, S. Reaungamornrat, W. Zbijewski, G. Kleinszig, JP. Wolinsky, Z.L. Gokaslan, J. Pascau, J. H. Siewerdsen. 2015. Intraoperative Fusion of 3D Ultrasound and C-Arm Cone Beam CT: Feasibility and Characterization for Real-Time Guidance of Needle Insertion. Computer Assisted Radiology and Surgery (CARS 2015). Barcelona, Spain. 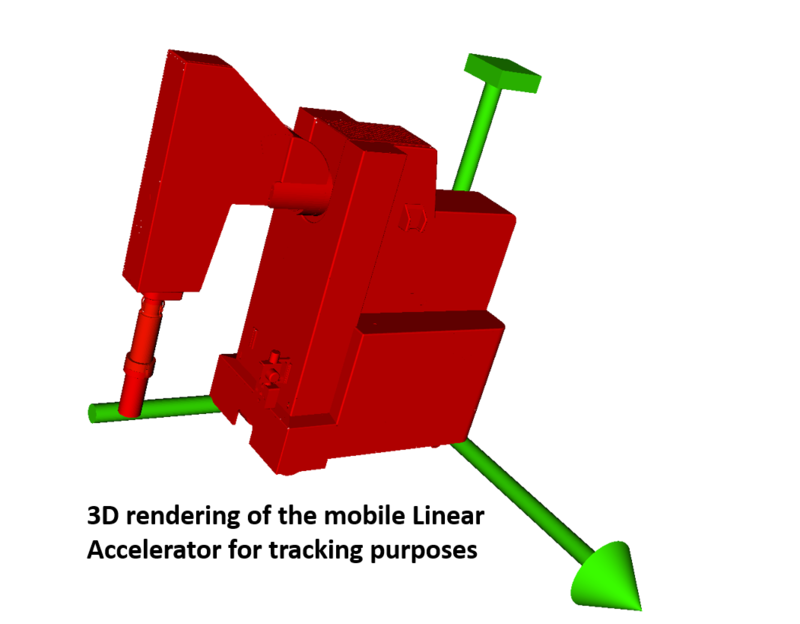 Navigation and guidance of mobile accelerators for intraoperative radiation treatments. DTS14/00192. Instituto de Salud Carlos III. Ministerio de Economía y Competitividad. Multimodal and guidance in breast cancer surgery and treatment. TEC2013-48251-C2-1-R. Ministerio de Economía y Competitividad.